You’ve finished the dirty work and now your bike has fresh oil and a shiny new filter, but what do you do with your used oil and filter? 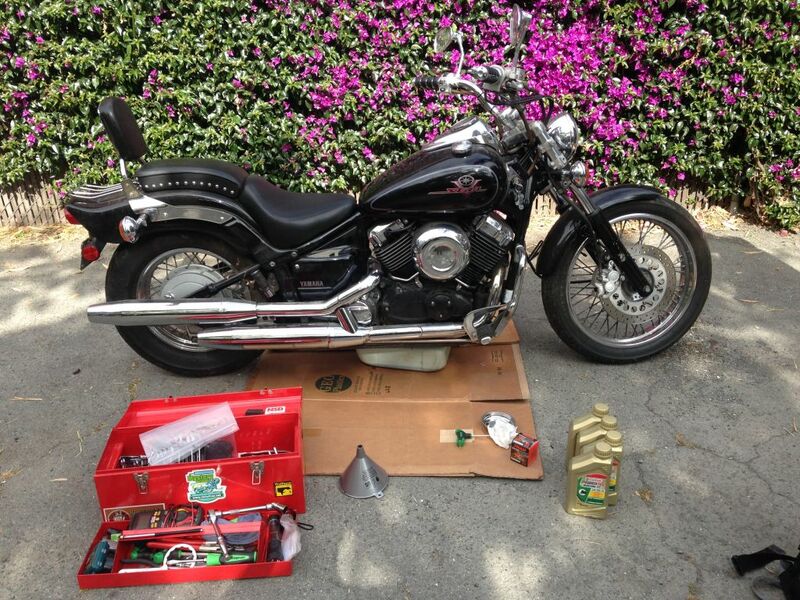 Yamaha V-Star 650 Cruiser, ready for her oil change, tools and supplies at hand. 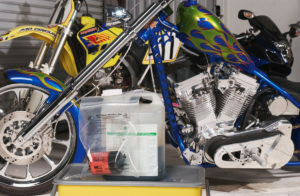 Our team has shown the step-by-step of oil and filter changes on several popular blog posts over the years – a Yamaha V-Star 650 Cruiser, a Dry-Sump Suzuki DR350 Enduro, a BMW R1150RT, a Honda Shadow 600 (VLX 600), and even a Honda Elite 80. Just like the oil and filter change, exactly how and where to recycle the used oil and filter depends on where you live. For this post, we’re focusing on San Mateo County, but the options are similar no matter where you live in California (find details for your city or county here). Old filter drains overnight – pick up a free drainer container at a Riders Recycle event near you. The first step is prep. Fully drain the oil AND filter – ideally overnight to catch all the oil. 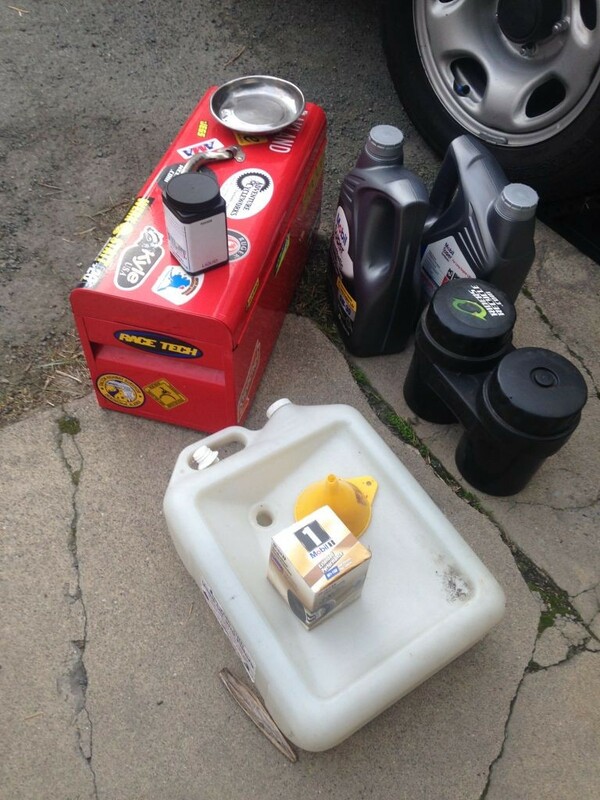 Residents can pick up free oil and filter drainer containers like the one in the picture above at upcoming Riders Recycle events in San Mateo County. Use a funnel to pour all the oil into a clean, sturdy, leak-proof plastic container with a screw-on cap. Place the oil filter in a clean, sealed plastic bag. 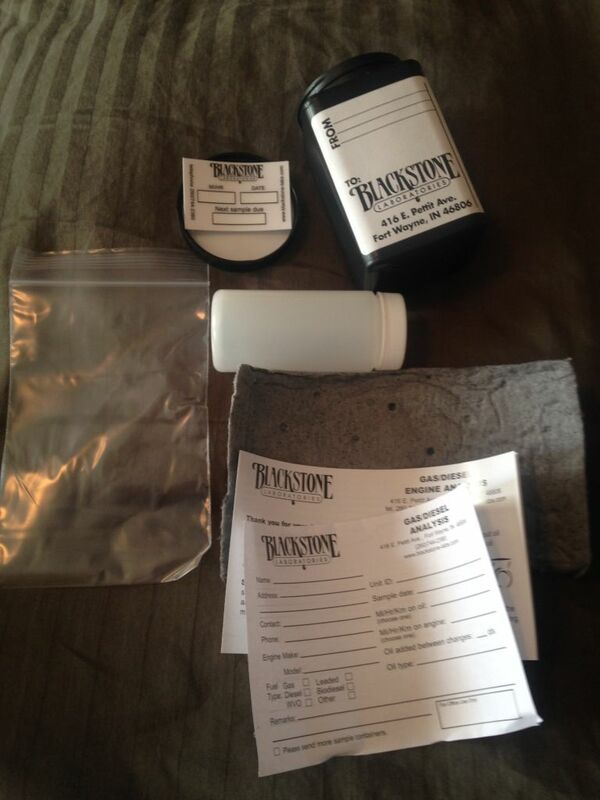 Depending on where you live, you might be able to get free jugs and filter bags delivered directly to your door (find your city below for details). Be sure to keep the oil clean – don’t mix it with any other substances so that it can be recycled again and again. 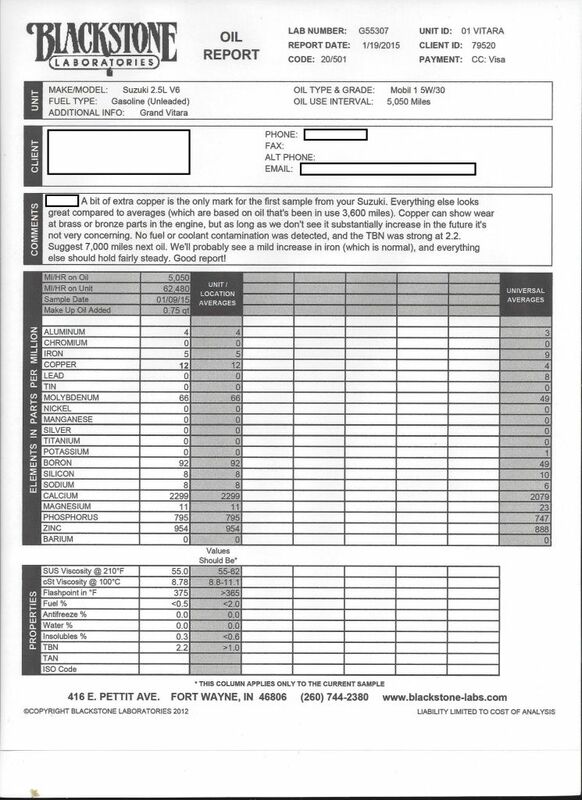 If it does get contaminated, make sure to take it to your local Household Hazardous (HHW) Facility (read more below). Once your oil and filter are secure, you can either take it on the road or park it at the curbside for recycling – keep reading to decide what’s best for you. 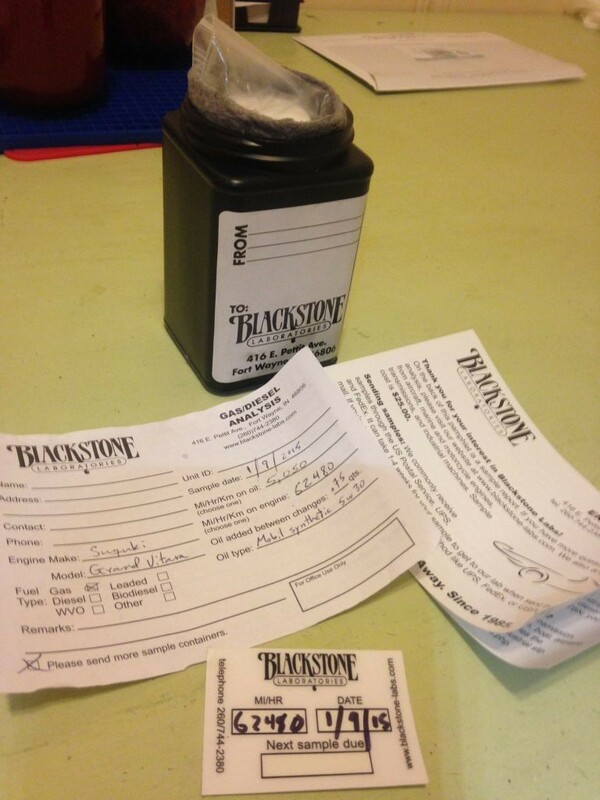 Local San Mateo County resident drops off used oil and filter at a local collection center. 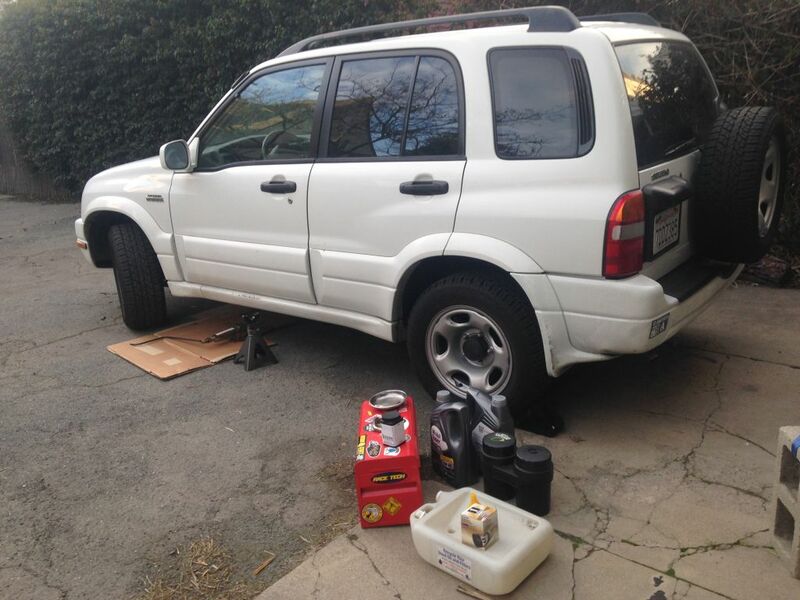 San Mateo County has over 50 drop-off locations where any county resident can take their used motor oil and filters for free, including auto parts stores, repair shops and recycling yards. San Mateo County Environmental Health Services created a map of all the used motor oil and filter recycling collection centers, so you can easily find the closest center to drop-off your used oil and filters (see map below). Always call the drop-off location first to verify hours and limitations, and make sure to give materials to a staff member. Park it at the curb. If you live in a single-family home in one of the cities listed below, you have access to convenient curbside oil and filter recycling! 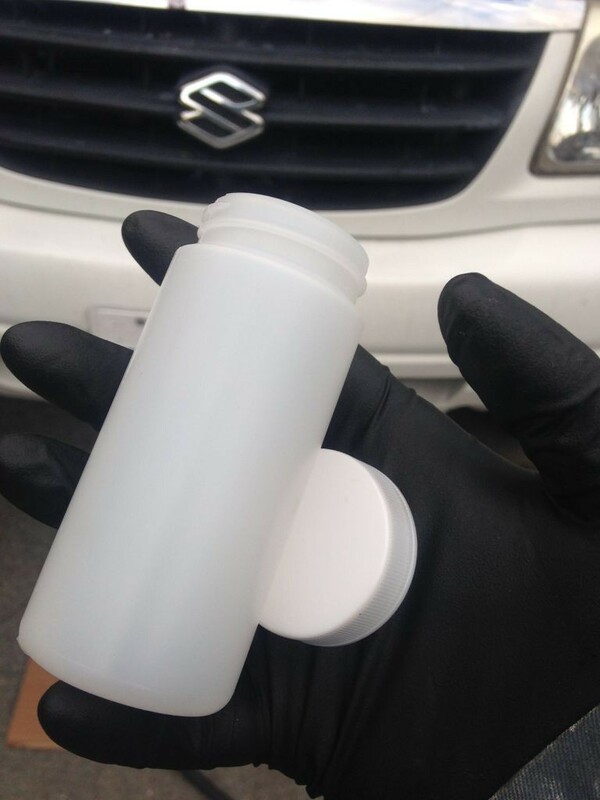 Depending on where you live and your waste hauler, you might need to prep your oil and filter a little differently to guarantee it will get picked up. Find your city below for details on what’s accepted and how to prep. 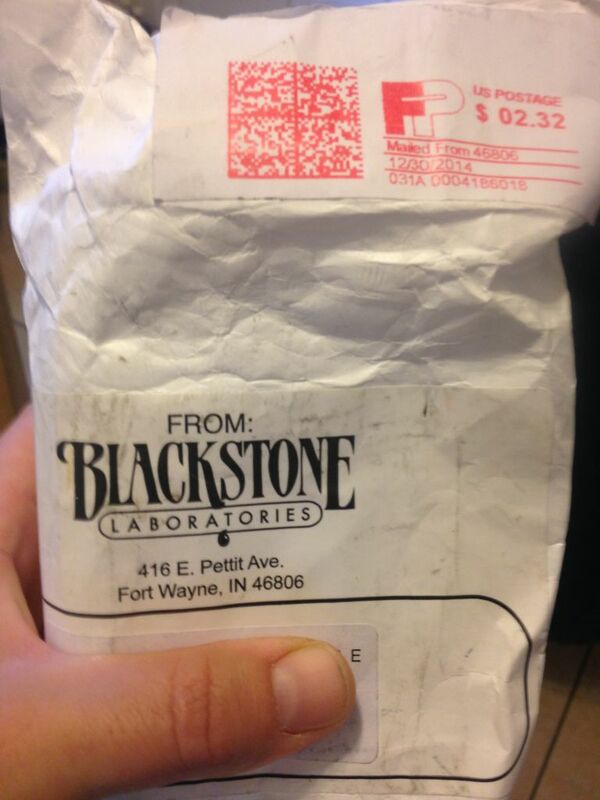 Used motor oil and filter after an oil change, sealed and ready for recycling. 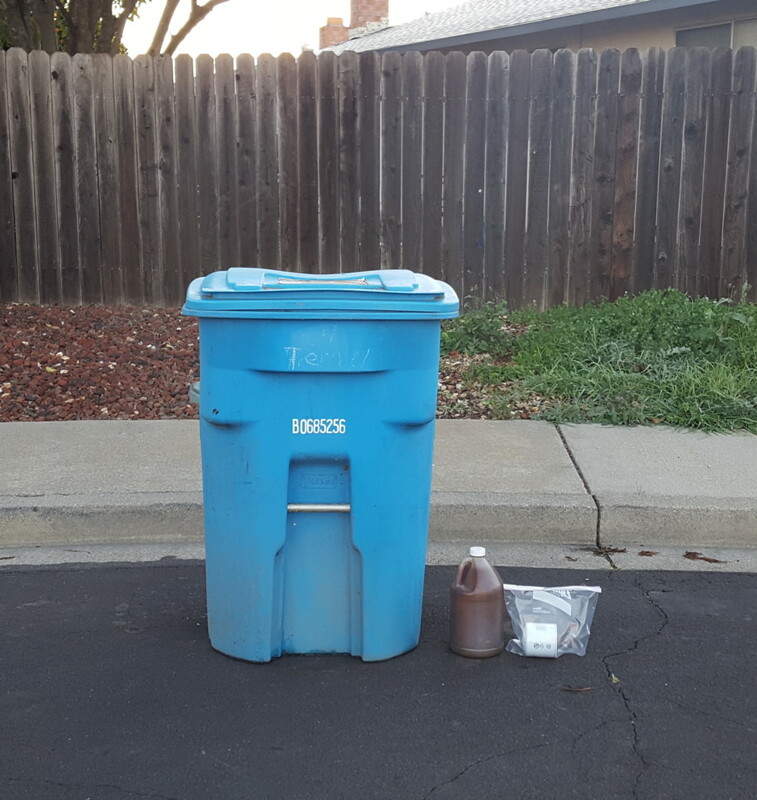 According to Recology San Mateo County’s website, if you’re a single-family home resident, you can put used motor oil in a clear plastic container and filters in a zippered plastic bag next to your blue recycle cart for pickup on your regular collection day. You can request up to five one-gallon plastic jugs for your used motor oil and up to five zippered plastic bags for your used oil filters, at no cost. You can also use your own clear zip-top plastic bags and clear plastic screw-top containers for used motor oil, like a one-gallon milk jug. Make sure that lids and bags are tightly sealed. Used motor oil and filter placed next to the recycling cart for curbside pickup. GreenWaste provides free curbside recycling for used oil and filters, but you have to use their jugs and bags. 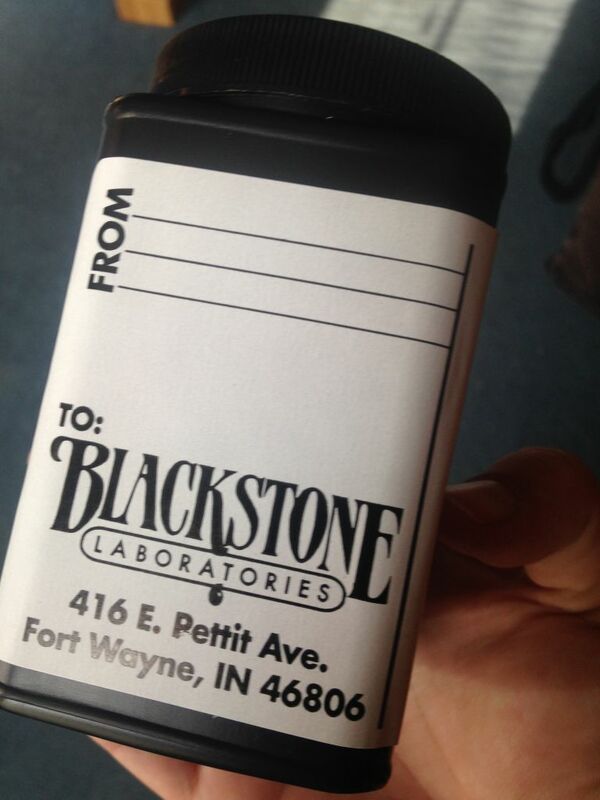 To order the free jugs and bags, call customer service at 650.565.3900. When you’re done, place sealed jugs with oil and sealed bags with filters next to your recycling cart for collection. 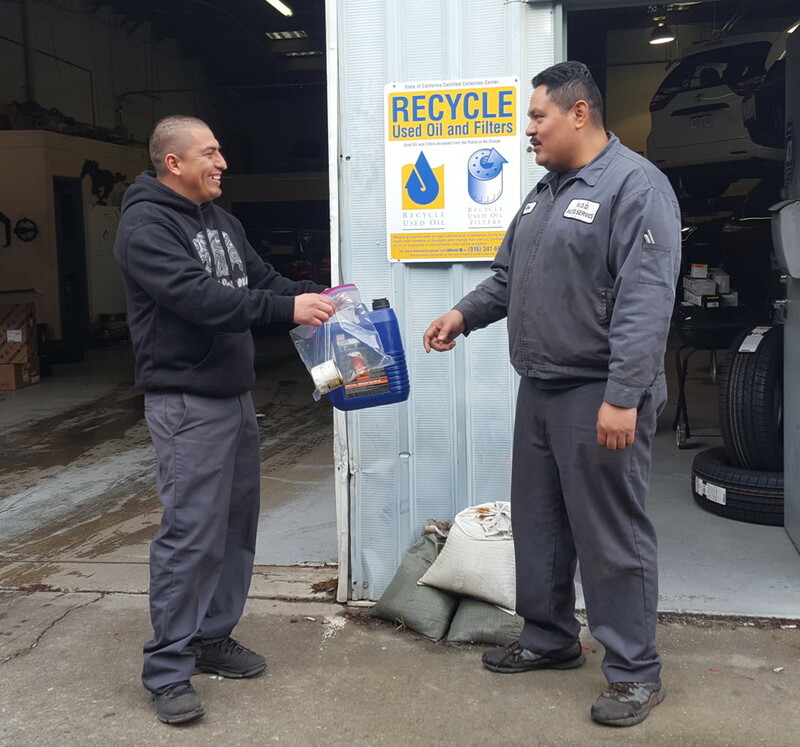 Republic Services Allied Waste takes up to two one-gallon, clear plastic jugs (with screw-top cap) of used motor oil and up to two one-gallon clear zip-top plastic bags with used oil filters curbside on your collection day. Place well-labeled motor oil and oil filters next to your blue recycling cart. South San Francisco Scavenger will take up to five gallons of oil in sealed plastic bottles with screw-on lids, placed next to the recycling cart. Empty oil filters in a clear zipper-locked bag go inside the recycling cart on top of bottles and cans. 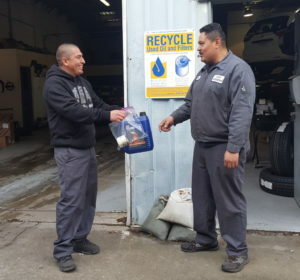 Kunz Valley Trash & Recycling takes used motor oil in plastic jugs with screw-top lids and used filters inside secure zipper-locked plastic bags. Place both next to your recycling cart. Call 831.338.0500 before your scheduled pickup if you have more than the usual amount for a single auto or pick-up truck. 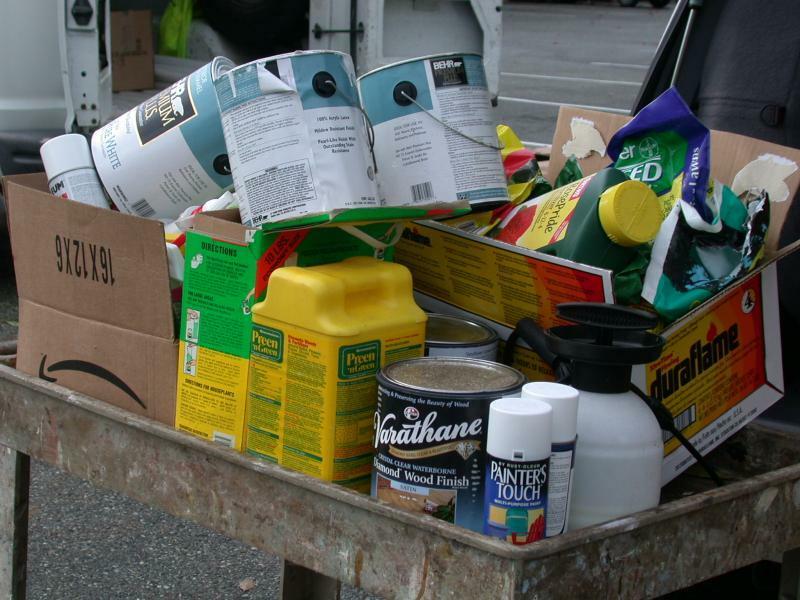 The San Mateo County Household Hazardous Waste Facility is open for free collection Thursday through Saturday – call 650.363.4718 to make an appointment. 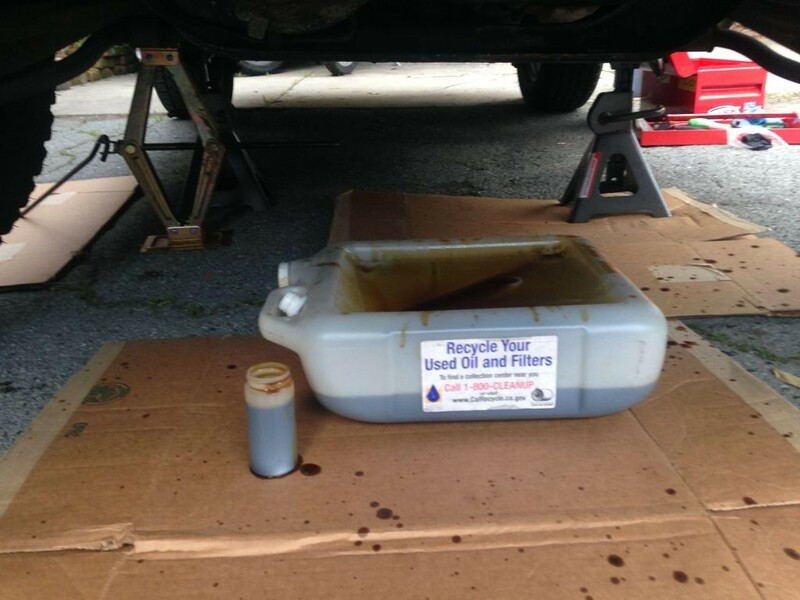 Not sure if your oil is mixed with other materials, or have other Household Hazardous Waste (HHW – such as paint, antifreeze, or insecticide) to get rid of as well? San Mateo County residents can drop up to ten gallons or fifty pounds of contaminated oil and other HHW off for free Thurs-Sat at the San Mateo County HHW Facility. Call 650.363.4718 and select option 3 or visit the San Mateo County Environmental Health Services HHW website to make an appointment at a drop-off location near you. For more useful info on motorcycles, DIY oil changing, and oil and filter recycling – check out our other blog posts and the rest of the Riders Recycle site. 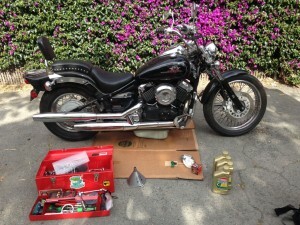 Changing your own oil makes for an easy and satisfying Do-It-Yourself project requiring a minimum of tools and supplies, saves you money at the bike shop or dealership, and helps you learn to keep your scoot purring along in fine mechanical shape. It’s an easy job, and the Elite has no oil filter. The Elite 80 has a little square on its dashboard, usually green, that switches to red every 3,000 miles. This indicates that it’s time to change your oil…though in practice, I’ve seen many scooter mechanics advocate changing the oil every 1,000 miles, just to be sure. In any case, the oil on this little scooter was 2100 miles and over a year old, so I prepped for an oil change. and a new crush washer. 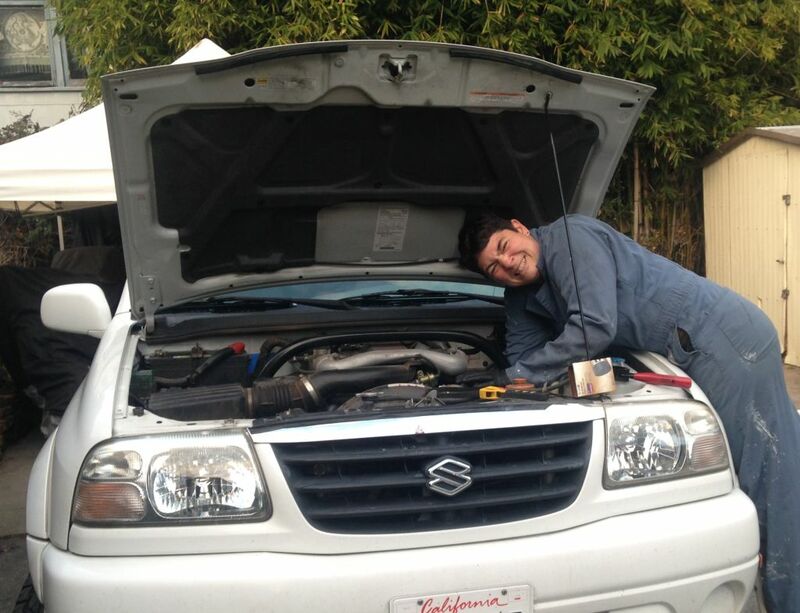 With everything I needed at hand, it was time to change some oil. First, to drain the oil in a small scooter effectively, you often need to tilt the machine to help it drain. I placed a board under the right foot of the scooter’s center stand, to help the scoot lean and drain to the left. Here, you can see how I tilted the scooter up and placed the oil pan directly underneath the centerstand, with the left foot of the stand actually sitting in the pan. If you aren’t comfortable slinging the scooter around at such sharp angles, you could use a large funnel to catch the oil and direct it over into the pan. I located the drain bolt on the left side of the scooter’s engine. Other views of the tilted scooter. I used the 8mm allen wrench to loosen and remove the drain bolt. With the drain bolt out (be careful not to burn your hands if the engine and oil are hot), the oil can flow freely into your catch pan. Remember, if the scooter is warm when you start, the oil will drain more quickly and effectively. After waiting a while for the oil to completely drain, I moved on to the next step. On the other side (the right side) of the scooter, I unscrewed the oil filler cap/dipstick in preparation for filling the scoot with oil. 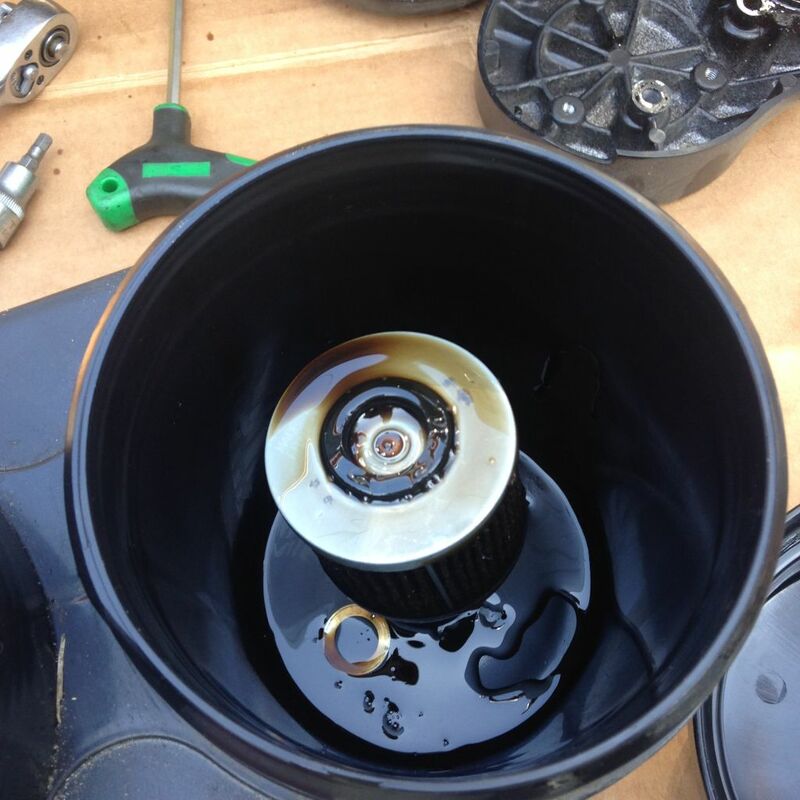 Then, I pulled off the old crush washer, added a new one, and replaced the oil filter bolt. 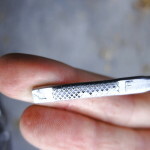 Use awareness and careful feel to tighten the drain bolt–you want to slightly compress the crush washer and ensure that the bolt isn’t so loose that it works its way out, but avoid stripping the aluminum threads in the scooter’s small oil pan. Have an experienced friend or family member help you with getting the feel for bolt tightness if you feel hesitant. Then, with the bolt replaced and the oil drained, I was ready to take care of the old stuff and add fresh oil. I wanted the scooter to be level and perpendicular to the ground to get an accurate measurement of the oil level, so I removed the board from beneath the right side of the center stand. Then, I moved around to the left side, and tilted the scooter over to the right to pull the center stand completely out of the oil pan. I leaned the scooter waaay over, and pushed the oil pan out from under the center stand carefully, taking care not to tip it over. With the old oil safely out of the way and the scooter level again, it was time to pour in the fresh oil. 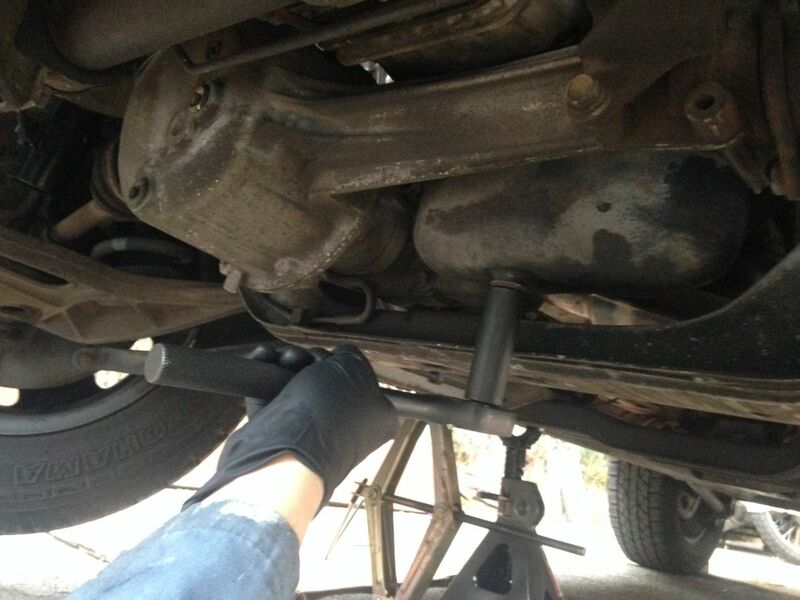 I put a funnel in the oil filler neck and slowly added oil, stopping to check the level with the dipstick frequently. A funnel with a long neck or, better yet, a flexible neck, is needed to reach the filler opening on the Elite 80–it’s pretty far down there..
And with the fresh oil in, it’s time to spray some cleaner on the oily areas beneath the scooter (if you use Simple Green, remember to rinse with water), and then to take care of the old oil. Any sturdy container with a secure cap will do for transporting the oil for recycling–I had a screw-top laundry detergent bottle rinsed and ready to go. The last step is to start and run the Honda for a minute or two, the turn it off, let the oil settle for 3-5 minutes, and check the level on the dipstick again, adding oil bit by bit if necessary. This allows the oil to circulate through the engine and level itself out. Remember, on Hondas and Japanese bikes and scooters in general, you check the oil level by simply setting the dipstick into its hole, not by screwing it all the way in. With that, you’re done. Give yourself some props for your mechanical accomplishment, then think about heading out for a ride…your scooter with run all the better with fresh oil! Don’t forget, of course, to recycle that used oil. I have curbside pickup in the city where I live, but most areas have a variety of automotive retail businesses and oil changers that will happily accept your used oil for free. For a more detailed answer about where to recycle your oil after an oil change, visit Riders Recycle’s web site.